Feb. 01, 2019, ©. Leeham News: In last week’s Corner, we covered the high-speed pitch stability problem most airliners have, Mach tuck. Now, we continue with low-speed problems which made Boeing introduce Speed trim on the 737. Figure 1. The block diagram for Boeing’s 737 Speed Trim system. Source: Boeing. When an aircraft slows down, the pilot needs to put more Control column aft pressure to keep the aircraft flying at the same altitude. Inversely, when the speed increases, he needs less aft force and after a while, he must push the yoke forward to keep altitude. This is the natural feel a pilot expects from his aircraft when the speed changes. For an airliner like the Boeing 737, this feel can be disturbed by different factors. One is the engine’s thrust has its force acting below the center of gravity of the aircraft. If the aircraft has a gradually higher thrust setting to keep a stable low speed, the “natural” feel of a nose heavy aircraft can be disturbed. Boeing engineers invented a low-speed automatic trim schedule which guaranteed the right feel for the pilots, called Speed Trim. In short, it trims the aircraft gradually more nose heavy when the speed decreases and more nose up when the speed increases from a low value. Speed Trim works in the background as pilots hand fly the 737. The trimming is most active after takeoff and is more known to pilots of the 737 than Mach Tuck trimming (called Mach Trim for the 737). Speed Trim is something the pilots feel happening on almost every flight. Mach Tuck trimming is less obvious to the pilots. Speed Trim came to affect the Lion JT610 crash. 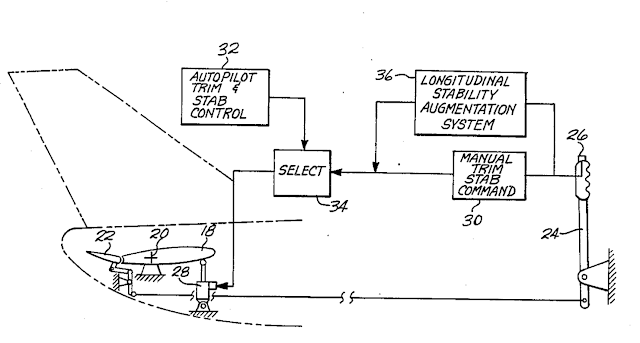 As none of the pilots flying the fatal JT610 flight or the flights before knew about the anti-stall trimming system MCAS (Maneuvering Characteristics Augmentation System), they thought it was Speed Trim which was active. The Captain on the flight before JT610 wrote in his Pilot log “Airspeed unreliable and ALT disagree shown after takeoff. Speed Trim System also running to the wrong direction, suspected because of speed difference”. He could feel the aircraft was trimming in the background, which he was used to. But it was trimming nose down when the speed increased after takeoff, contrary to what he was used to. He thought the Speed Trim system was confused by the faulty speed and altitude reading the aircraft warned for. In the next Corner, we will reexamine the background to the 737 MAX MCAS system and discuss why the pilots had such a problem with the system when it malfunctioned. Thanks for the great series, Bjorn. But last week’s post didn’t mention Mach Tuck; can you clarify exactly what it is? It then went on to describe PIO, another very dangerous problem of high dynamic pressure = high speed at low altitude, problem. it’s me who can’t count. This Corner is now rightly called Part 8. Bjorn, you mention the “Maneuvering Characteristics Augmentation System” (MCAS), but the block diagram shows the “Longitudinal Stability Augmentation System”. Are those the same? – Mach trim to counter Mach tuck. – Speed trim to improve low speed feel for the pilots. – MCAS which is a stall prevention system. It’s not working unless the aircraft is flown close to stall for some reason (which an airliner should normally not do). But it is active ( as in looking at sensor information to go active on ) all the time, isn’t it? This is an issue quite often not properly understood. But in the same step you add the associated risks ( of malfunction ) over the full envelope of use. absolutely, this is what came to bite it. We will cover this on Friday including why it was so difficult for the Pilots to take the correct action when it malfunctioned. I can see the serious confusion, did not know about the low speed trim. Phew, and then through in so called maybe its a stall override. More confirmation from the why MCAS was added.